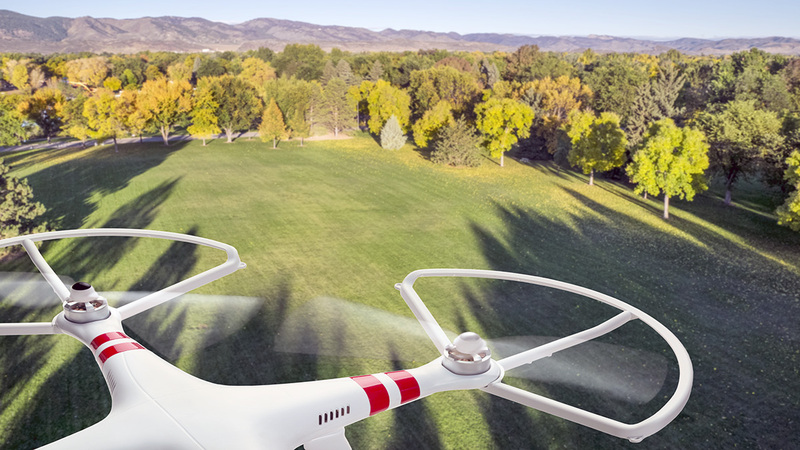 In 2015 the number of drone related incidents sky rocketed. Most of the big news stories of this year were about mishaps related to irresponsible drone users. With the onslaught of amateur drone operators the US government scrambled to pass legislation that would stem the tide of drone crashes, privacy threats and dangerous flying. 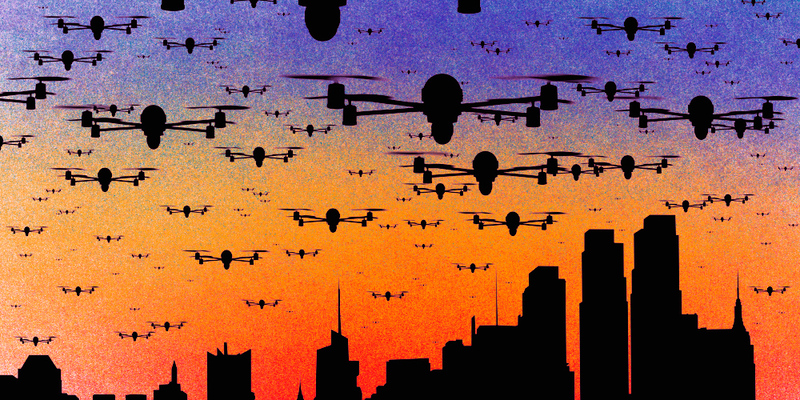 There was a great fear that massive numbers of drones would be given as Christmas presents this year dubbed by some at the great “drone invasion”. 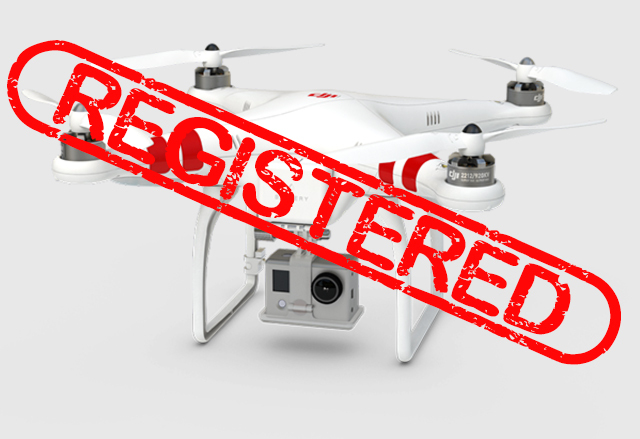 The FAA drone registration website went live on December 21st which can be seen here: FAA Drone Site. Their guidelines are bit foggy and fail to define what is and isn’t a drone. They do have a list of samples though, FAA Sample Guide. The guide seems to suggest that only drones with autopilot capability (aka actual drones and not R/C models) need to be registered. At the moment the registration system is ambiguous and poorly though out. The knee jerk reaction from the FAA makes an effort to control the huge number of hobby drones taking flight this year. Much like the long gun registration in Canada the people who are going to break the rules will not register their drones anyway. There were several big news stories this year about drones interfering with forest fire fighting operations in Canada and the United States. This summer was unusually dry and led to an increase in forest fires all over North America. 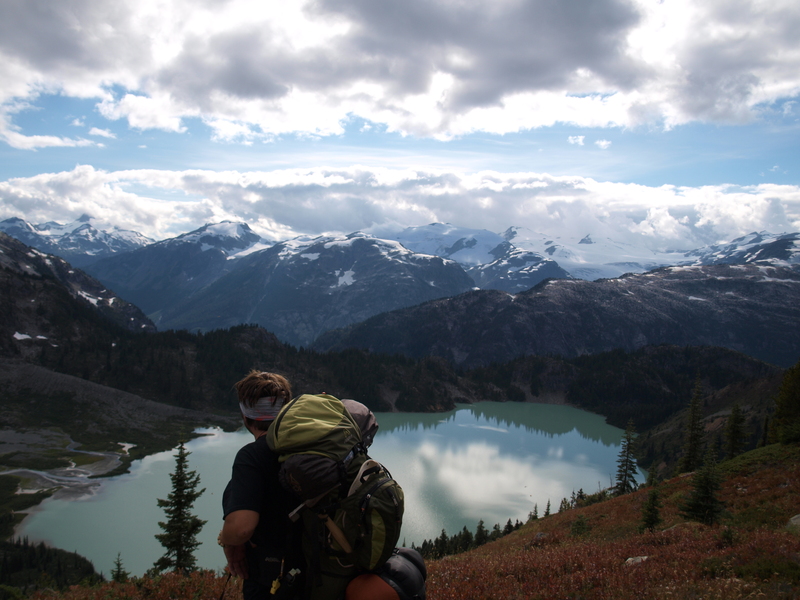 In BC there was a province wide fire ban this summer due to the dry conditions. One incident near the town of Oliver, BC made headline news across the country (CBC story). Aerial fire suppression crews were hard at work battling a fire that engulfed 1500 hectares and led to the evacuation of over 100 homes. When a small drone was spotted the whole crew of eight helicopters and 6 water bombers was grounded for five hours. The story spurred negative emotions from many BC residents as the fire fighting effort was desperately needed and the interruption further threatened many homes. There were several incidents in California this summer too. 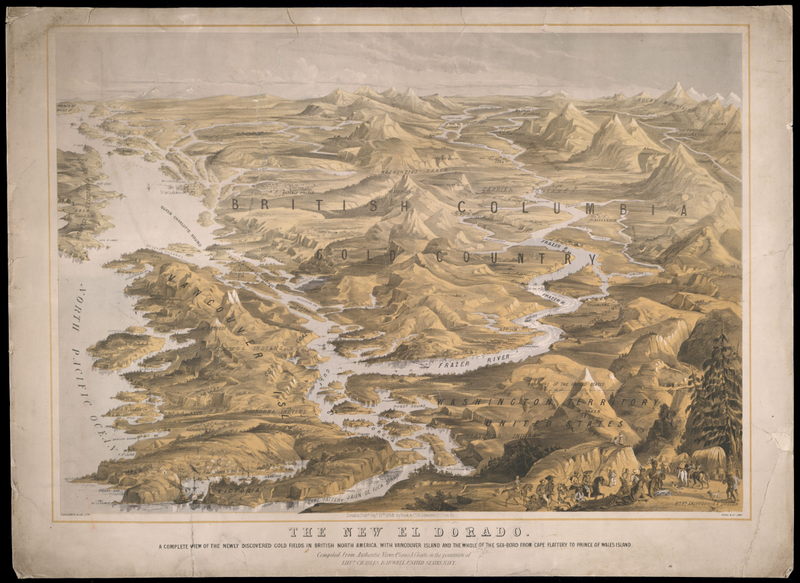 California had a rough summer with widespread drought and many forest fires. Public reactions were fierce. 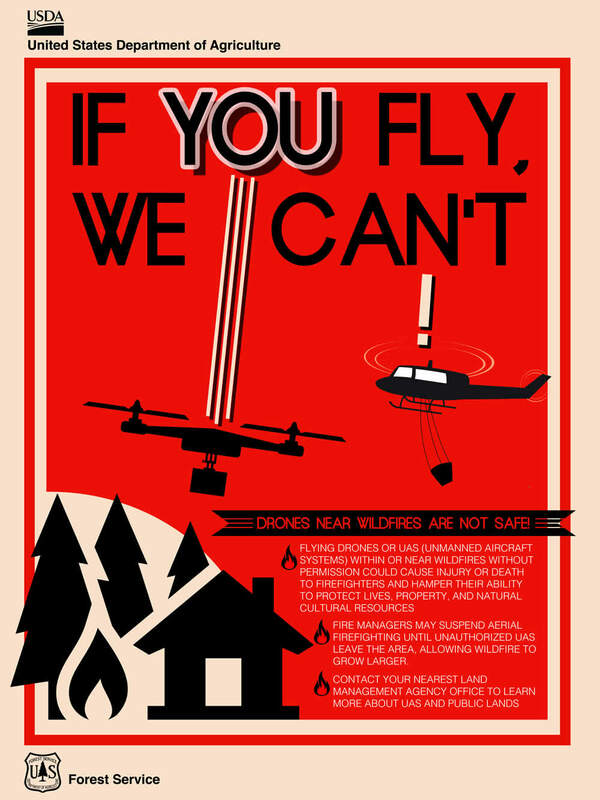 The county of San Bernadino is offering a $75,000 reward for the identity of drone pilots who interfered with three separate forest fire operations (Reward Story). Within the last year two youtube videos from the same drone enthusiast sparked much controversy (CNN Article). In the first video he mounted a handgun to a quadcopter drone and rigged up a remote firing system. The result was pretty intimidating. See the video below. In December the same enthusiast mounted a custom designed flamethrower to a larger drone and posted anouther video. Once again the controversy spread like wildfire (Popular Science article). The inventor says that the experiments were conducted in a controlled environment with water and fire extinguishers nearby. Internet users were mostly outraged with many in the drone community lambasting the teenager who created these drone weapons. There were a lot of comments from people fearing their hobby would be banned because of this young man. Others applauded the ingenuity that it took to put these together while some were just plain scared. It will be interesting to see what hobbyist drone weapons make the news in 2016. Drones were originally developed as weapons systems starting with the German V1 flying bomb in WWII which was essentially a cruise missile. With the long history of weaponized drones we shouldn’t be so surprised when kids are creating them in their backyard. Everbody has heard of the Amazon delivery drone by now. 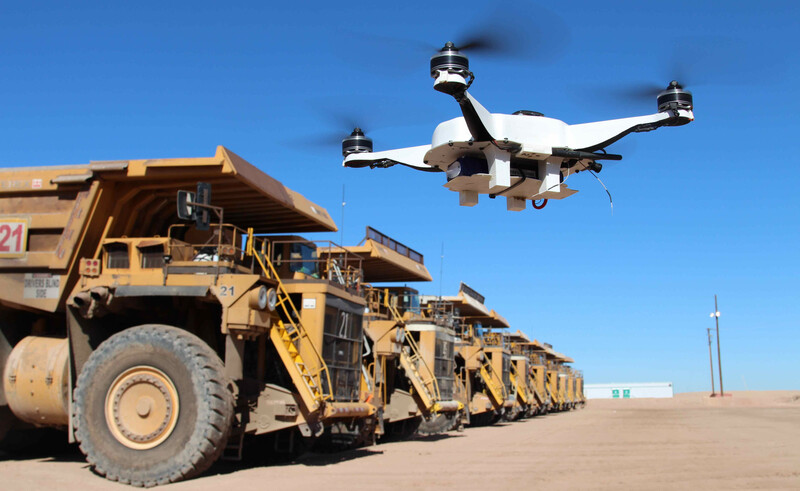 News of their plans to develop a 30 minutes or less drone delivery system called Prime Air has been splattered all over the headlines for much of the year (30 minutes or less). Just last month they released a video with former Top Gear presenter Jeremy Clarkson showing a concept of what Prime Air might look like. Despite the many challenges involved in drone delivery Amazon seems to be taking their plan seriously. They have proposed a special drone delivery only airspace (BBC article). It will be several years at least before the technology and regulations are actually ready for something like this. 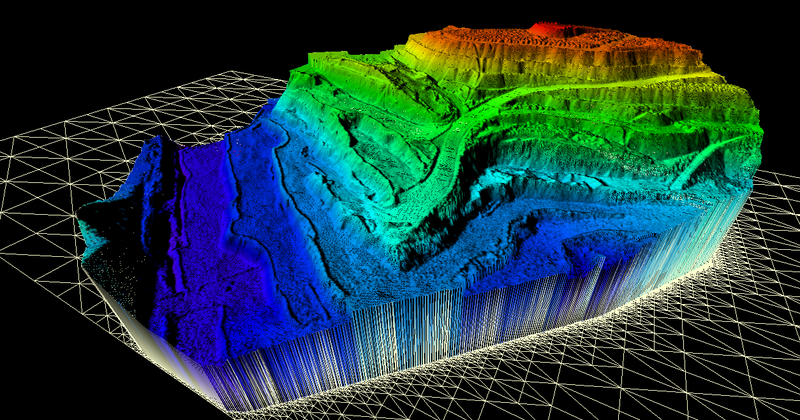 Take a look at my post on 6 Misconceptions About Drones in 2015 where I explained why this won’t work. Google (aka Alphabet) and Walmart also filed applications to test drone delivery this year (Walmart Drone Delivery). Futuristic drone delivery remains a tantalizing possibility and will likely remain in the headlines through 2016. This story from 2012 explains how a US military drone pilot from Montana killed an innocent child. He launched a missile at a building in Afghanistan when a child walked out at the last second before the missile hit. There is a lot of collateral damage in the US drone war campaign. According to this article on Vice News more civilians are killed than suspects (Vice story). Anouther article in the New York Times tells the same story (NY Times). A huge number of drone pilots are quitting their jobs. More people are quitting than are being trained (Drone Pilots Are Quitting In Record Numbers). The air force in apparently offering huge bonuses to retain qualified operators (NY Post article). The drone’s flight data was analyzed after it was shot down. The drone was clearly above 200 feet and had only been in the air for two minutes. It seems obvious that the shooter was acting emotionally and testified that the drone was closer than it was. 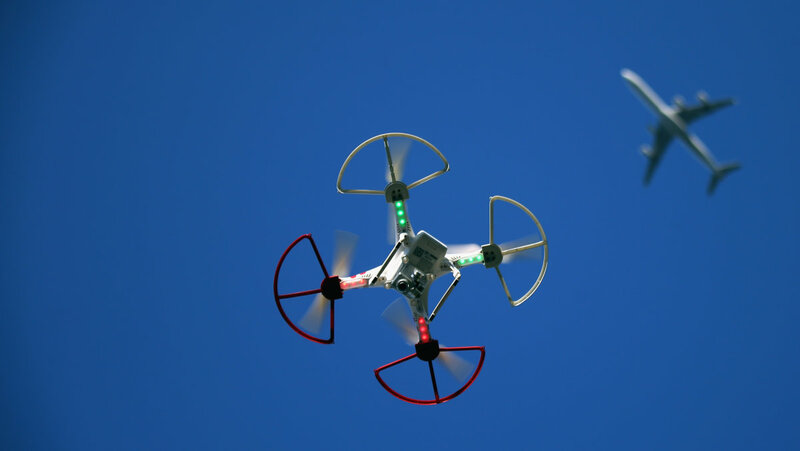 There has a been a lot of hype about drones invading privacy. While camera equipped drones do have the capability to spy on people it is up to the operator to act responsibly. There are existing laws regarding voyeurism and trespassing which apply to drones as much as people. Of course this was not the only drone shooting incident. A New Jersey man also shot a drone with a shotgun he did not have such a sympathetic judge. He was charged with Possession of a Weapon for an Unlawful Purpose and Criminal Mischief (NJ Drone Shooter). Anouther interesting drone shooter story took place in Modesto, California (Cal Drone Shooter). Again the shooter acted on concerns over privacy. This case was handled by small claims court when the shooter refused to pay for the parts that he damaged. The drone owner won the court case this time. In some states its OK to shoot drones in others it is not. It seems that shooting drones is a grey area as in the US the legal system (CNN Drone Shooting). There have been several news stories of drone incidents on beaches. 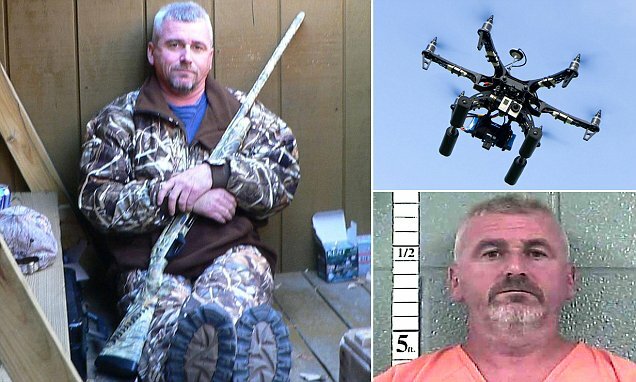 In one case a man was arrested and charged for throwing his T-shirt into the propellers of a drone causing it to crash (T-shirt drone incident). A particularly interesting incident happened in 2014 at beach in Connecticut (Woman Assults Drone Pilot). A woman was offended that a drone pilot was flying a camera drone over the beach. She attacked the man and was subsequently charged with assault. The man filmed the assault on his cell phone and she now faces up to a year in prison. It is not against the law to fly or film in a public space. 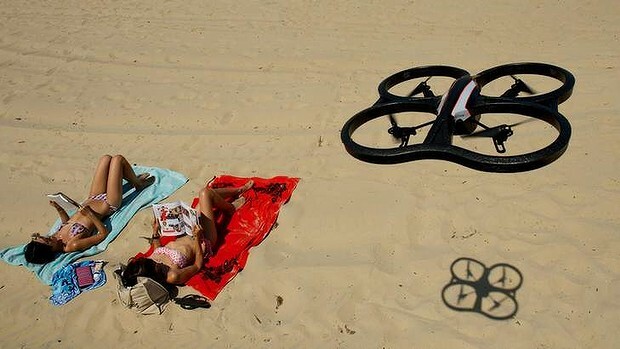 If you are sunbathing on a public beach people can legally take pictures of you with a drone or otherwise. 2015 saw two white house drone incidents. The first incident happened in January (NBC, Mashable). 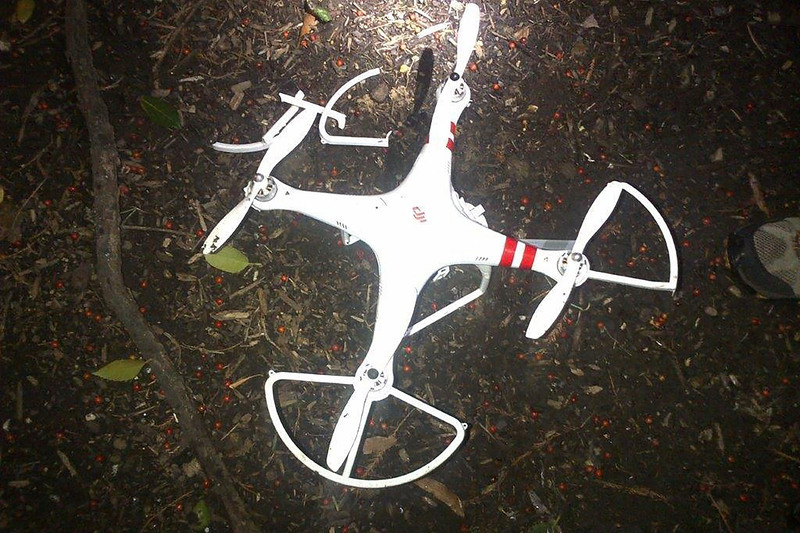 The drone operator lost control of his DJI phantom and it landed on the grounds of the white house in Washington, DC. The incident was uneventful other than that fact that it landed on government property. Nobody was hurt, no property damage, etc. Although this story reports that the pilot was “drinking and droning” (DUI Droning). In contrast the the January incident a man was detained for flying a small drone (Parrot Bebop) at the white house (CNN, DailyMail). The area around the white house was put under lock down. Secret Service agents quickly tackled the suspect and detained him. All the surrounding roads have been cleared of people and cordoned off. The pilot (Ryan MacDonald) was arrested and charged with violating a federal order. The difference in handling of these two incidents is noteworthy. In one case the perpetrator was a government employee who recklessly went to sleep with a drone in the air, and may have been drunk. He actually crashed his drone. In the second incident the man did not crash and was arrested and charged and the white house was put on lockdown. Drone incidents at airports have risen sharply in the last year. It is inevitable that with the huge numbers of drone sales a small percentage of owners will operate in a completely reckless manor. Once incident in May at New York’s LaGuardia Airport involved a near mid air collision between a drone and a jetliner at 2700 feet (Fox News). According to this article from the Washington post there were in excess of 700 drone related incidents at airports in the United States in 2015 and the article was written in August. On July 10, the pilot of an Air Force F-15 Strike Eagle said a small drone came within 50 feet of the fighter jet. Two weeks later, the pilot of a Navy T-45 Goshawk flying near Yuma, Ariz., reported that a drone buzzed 100 feet underneath. On May 9, the pilot of United Airlines Flight 863 — traveling from San Francisco to Sydney — reported that the Boeing 777 hit a drone at an altitude of 3,000 to 4,000 feet along the California coast. Vancouver, BC has had several incidents as well (CBC News). There was a high profile incident in October at the international airport and one in August involving a sea plane and a quadcopter (National Post). According to the seaplane pilot the drone came within three meters of his windshield when he was landing. These kind of incidents have been spreading rapidly and in each case you have to wonder what the person was thinking. There are several awareness programs in place now but do you really need someone to tell you that its a stupid idea to fly a drone at an airport? 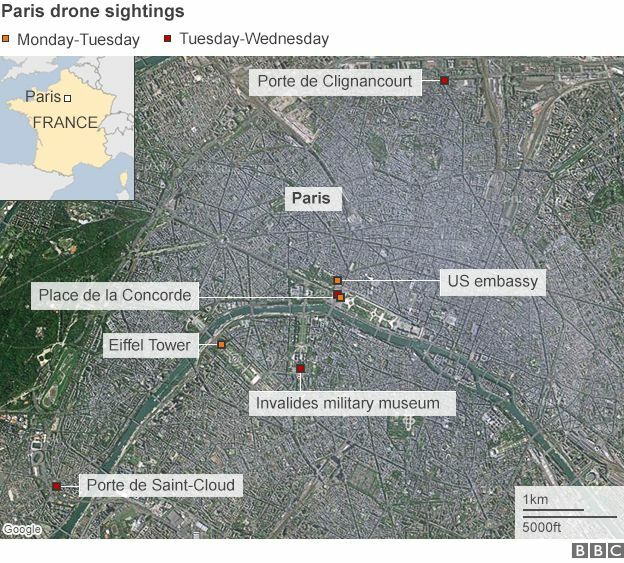 In February drones were spotted flying over several Paris landmarks including the Eiffel Tower, and the US embassy. The drones were spotted two nights in a row presumably taking photos or video of the landmarks. Flying a drone at night is illegal in France and drone flights in central Paris are also banned. The story was huge news despite how little was known. News agencies in Europe reported the facts and that the pilots or drones had not been located (BBC News). Here is an excerpt from a BBC article. The security threat from these drones is minimal. Bird’s-eye images of Paris landmarks are available online in far higher quality than anything these devices could produce. And small, shop-bought drones are not strong enough to deliver a significant payload of explosives. News in the United States took the story to a whole different level. The CNN video below has “TERROR IN THE SKIES” as the headline for their report. With no information to go on CNN decided to scare the pants off American viewers. A week later three Al Jazeera journalists were detained as suspects (Al Jazeera Story). The reporters were in fact operating their own drone as part of their coverage of the mystery drone story. They were detained for 19 hours and questioned. The actual perpetrators were never found. The Paris drone flights remain a mystery. They were likely tourists using their toy drones to capture aerial video of landmarks. In August of 2015 the FAA announced that it had issued over 1000 exemptions for commercial drone operation (Fortune Article). Through much of the year they were issuing permits at a rate of 50 per week. The FAA was mandated by congress to come up with commercial drone rules by 2015. They dragged their feet and still only have an interim measure called a section 333 exemption. Commercial drone activity is illegal in the United States and the permit grants an exemption to the law. The process is similar to what Transport Canada has been doing for a decade. Without a permit there is no commercial work. What this story really means is that the United States is finally able to have a domestic commercial drone service industry. Prior to 2015 only a small number of permits were issued giving the holders a virtual monopoly on drone services. With the increase in permits there is beginning to be some competition in the market. Section 333 exemptions are not easy to get. 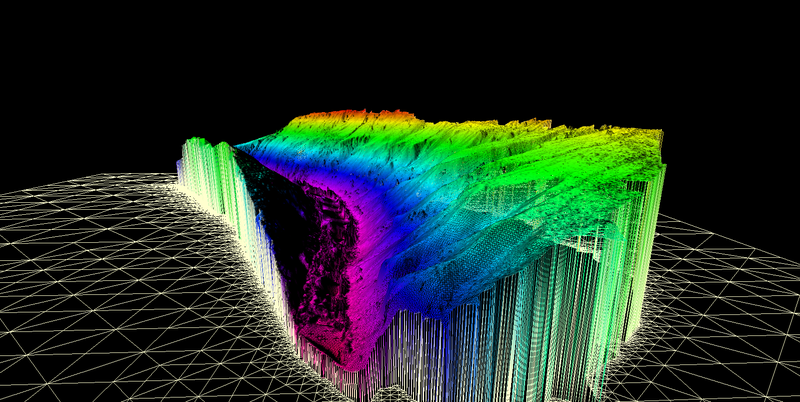 There is a paperwork intensive application process and all the criteria need to be met. The FAA is moving towards an actual licencing system instead of the patchwork of regulation that they are now using. 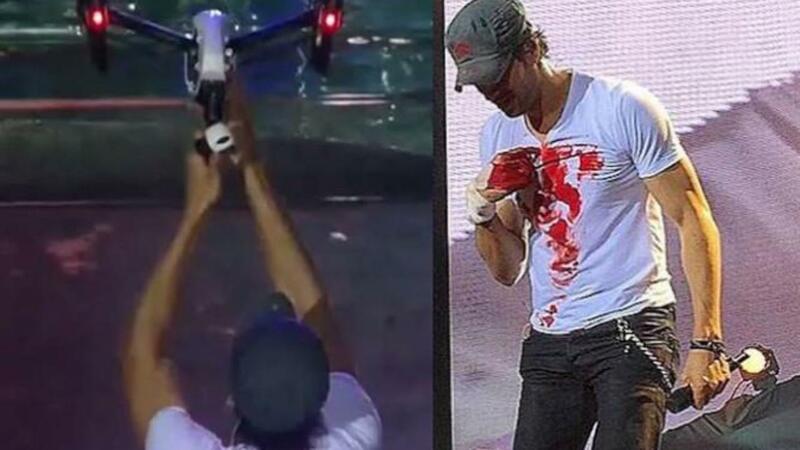 During a concert in Tijuana, Mexico Enrique Iglesias grabbed a drone out of the air and sliced his fingers on the propeller. This story made headlines in May of 2015 (DailyMail Story). The drone was used to get crowd footage during the concert. Enrique grabbed the drone to get a POV perspective. He continued performing for 30 minutes and was airlifted to a hospital after the show. He was bleeding the whole time. You have to respect the guy for continuing the show despite some fairly serious bleeding.